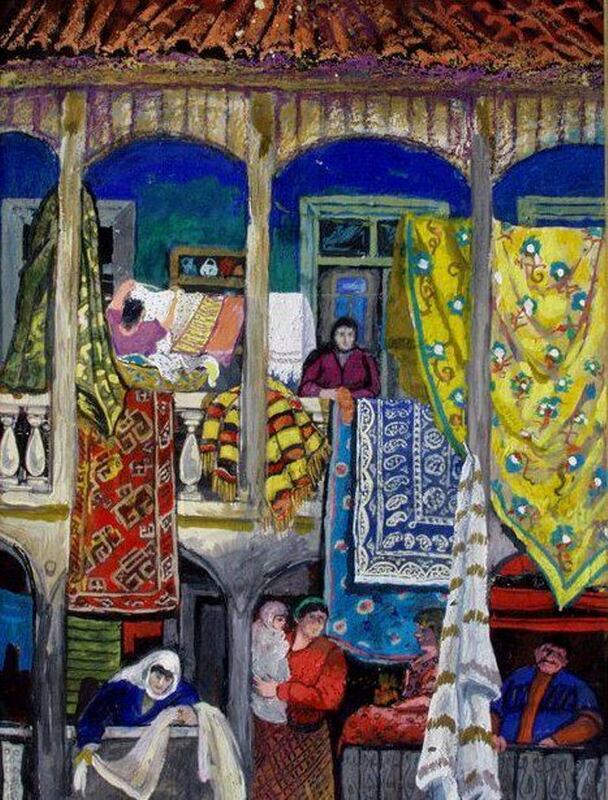 Elene Akhvlediani (Georgian: ელენე ახვლედიანი) (1898–1975) was a 20th century Georgian painter, graphic artist, costume designer and theater decorator. 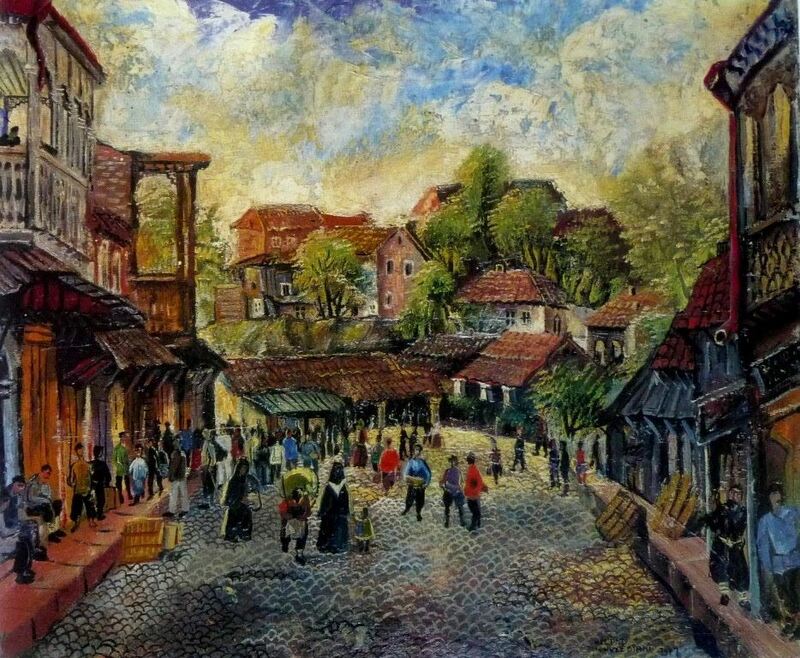 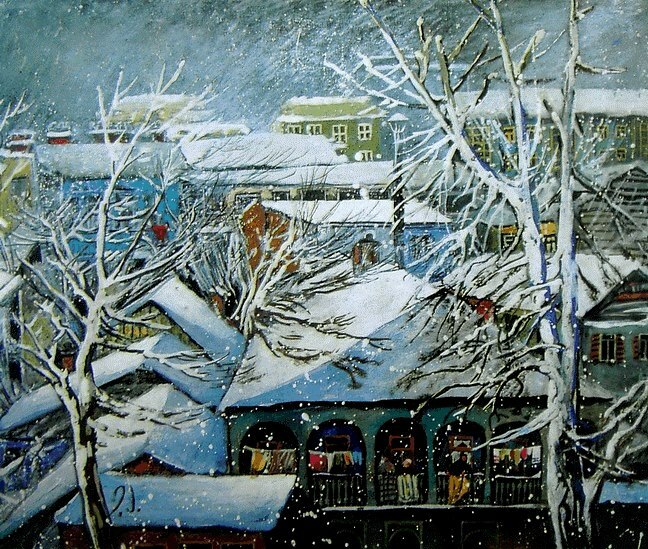 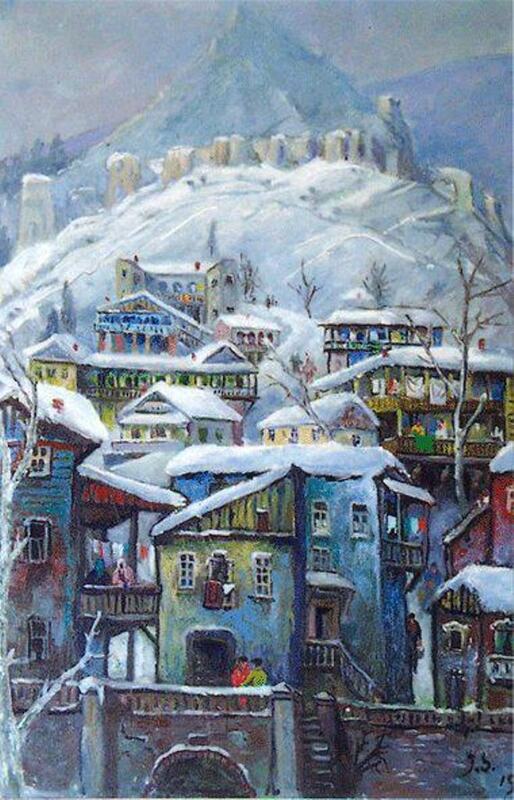 She is particularly known for her beautiful depictions of Georgian towns. 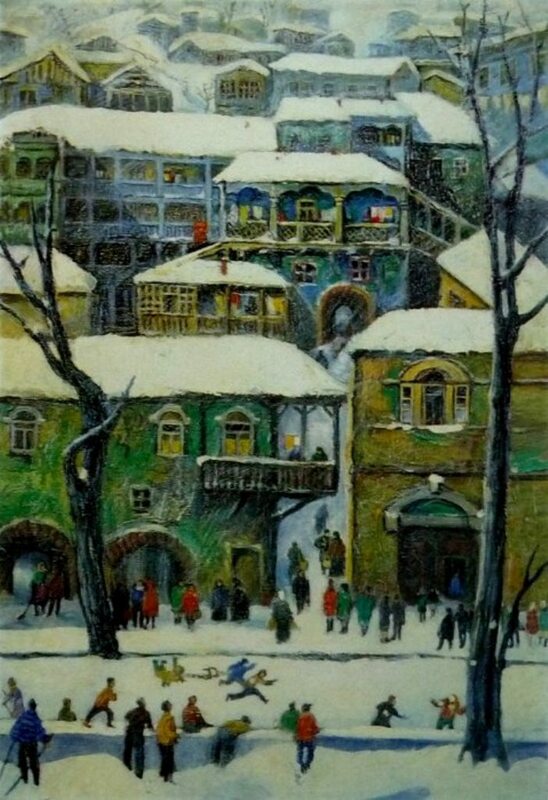 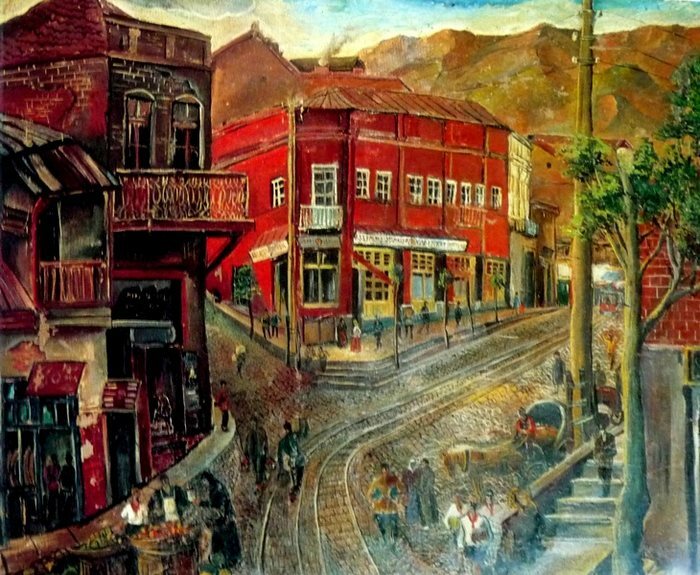 Her studio in Tbilisi is now a museum (12, Kiacheli str., 0108, Tbilisi) exhibiting her landscape paintings, graphics, and set design works of different periods. 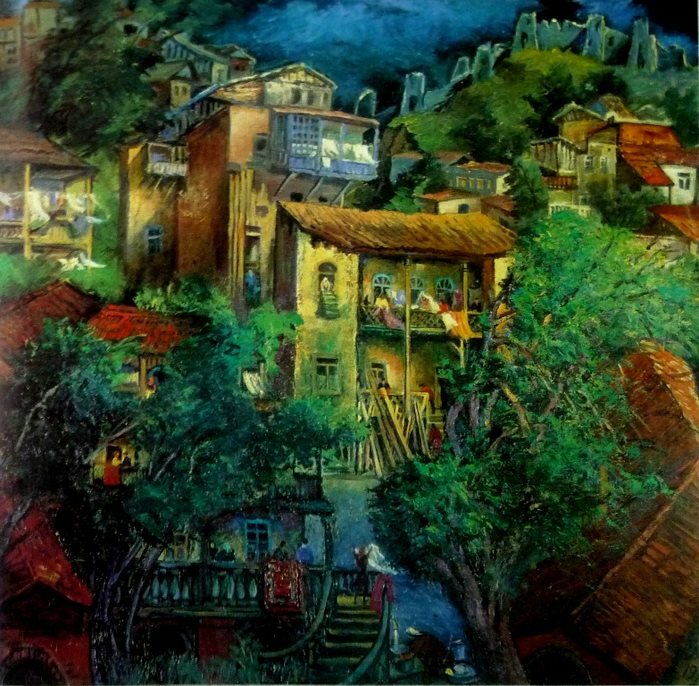 Beautiful pictures – is it possible to get postcards or a poster of one of the pictures from the museam where they are displayed?